These adjustable dumbbells replace 15 sets of weights. Weights adjust from 2 to 24 kg (5 to 52.5 lbs). Easy-to-use selection dials for adjusting weights. They are sold as a pair. Easily switch from one exercise to next and with the turn of a dial you can change your resistance, enabling you to gradually increase your strength. Versatile workout for your legs, back, chest, abs, shoulders and arms. 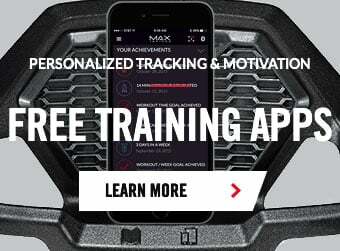 Compatible with the free Bowflex SelectTech® training App for iOS and Android. With weight that adjusts from 2 to 24 kg (5 to 52.5 lbs), you'll continue to see results as your fitness level improves.